One City Harvest Church zone took a step of faith and entered into the fields of rural Cambodia, planting seeds for spiritual revival and harvest in the country. 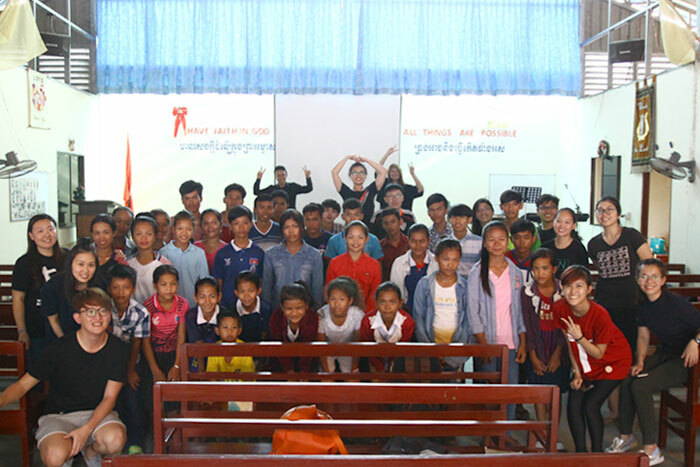 On April 27 this year, a group of 20 young members of City Harvest Church left for Cambodia. They belong to the zone led by City Harvest Church’s pastoral supervisor Catherine Lee. The members ranged from students to working adults, all united by the same vision to be ambassadors of Jesus Christ, by sharing the Gospel and meeting needs. 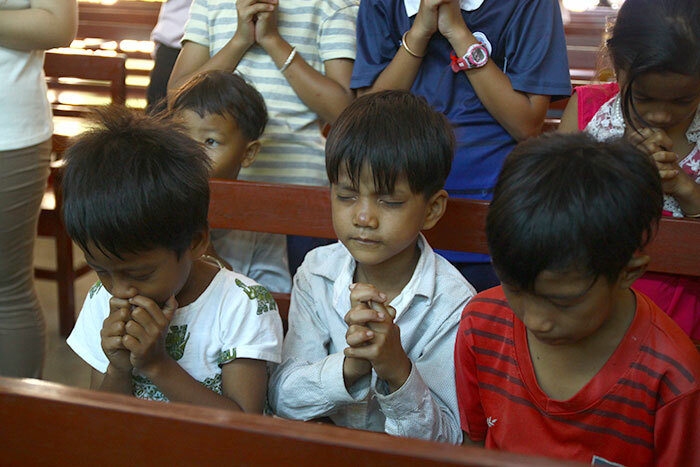 The team worked with a church in a small rural village, a two-hour drive away from the city of Phnom Penh in Cambodia. 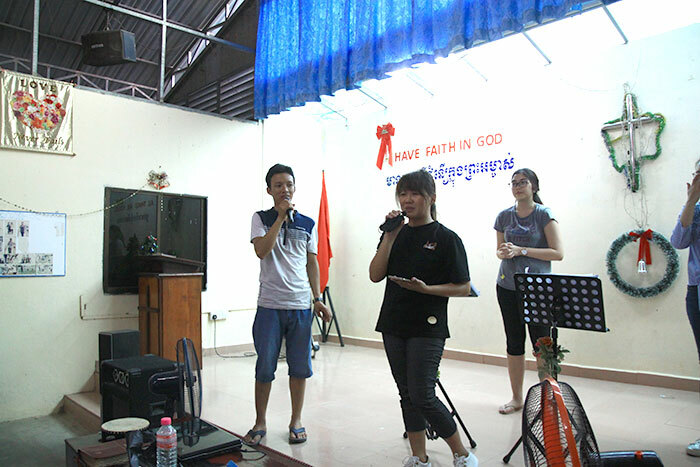 Bernard Sng, a Singaporean, recognizing the urgent need of the Cambodian villagers for Jesus Christ, decide to move to the village and started Hallelujah Church. Unfortunately, Sng had very limited resources. The church only had two other staff members, greatly limiting the church’s evangelical efforts. Another barrier was the lack of proper spiritual resources and training: the church workers were not equipped with the skills needed for effective evangelism, despite their passion for winning souls for Christ. God, however, worked behind the scenes to bring help to Sng. Back in Singapore, Lee and her members felt a strong desire to serve in the mission fields. One of the cell group members remembered Sng’s church and suggested they render help. 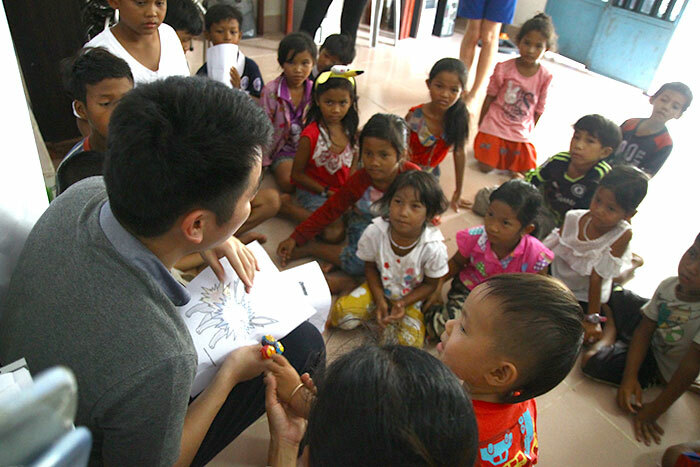 They seized the opportunity to contribute, and a small team went out to Cambodia for the first time in 2015. Over the last two years, members from Lee’s zone have paid regular visits to Hallelujah Church. The mission that started as a cell group mission trip has expanded to the zone level. Pastoral supervisor Lee says, “Our goal in Cambodia was to find a hurt and heal a hurt, find a need and meet a need. We saw the needs of the people in Cambodia on our first trip. Every time we pray for them, we really see how God moves to minister to them. Armed with the experiences of serving in church ministries, the mission team would conduct lessons to equip the local church members with the necessary skills to run a church service, to lead people into the presence of God and to win souls. One example was a lesson that the team’s keyboardist gave to Hallelujah Church’s main keyboardist, on how to minister to the congregation through music and leading them into God’s presence during praise and worship. The team also donated musical instruments such as guitar strings and a Cajon so that the Cambodians would be better equipped for praise and worship. The team also gave them practical advice on how to run a church service. The Singapore team organized and executed all the church services–children’s church, youth service and main service–during their visit. The team planned the flow of the service meticulously–from praise and worship to delivering the Word and the giving of personal testimonies, so as to impart knowledge to the Cambodian church. Besides equipping the church workers, the mission team also wanted to bless the locals. Before every trip, members of the zone would gather items such as clothes, stationery, toys, canned or dried food and other necessities. Once they reached the village, the team would organize a carnival to distribute the donated items. They would also take the opportunity to engage the village youths through games with the aim of integrating them into the church. One of the main outreach efforts that the team focused on was home visits. As most of the villagers were in their twilight years, attending church services was challenging for them. Since they could not attend church, the team brought the church to them through door-to-door visits, sharing the Gospel and ministering to them personally. During these visits, God moved tangibly and powerfully. One of the team members even testified that it was as if Jesus had gone with them to every household. 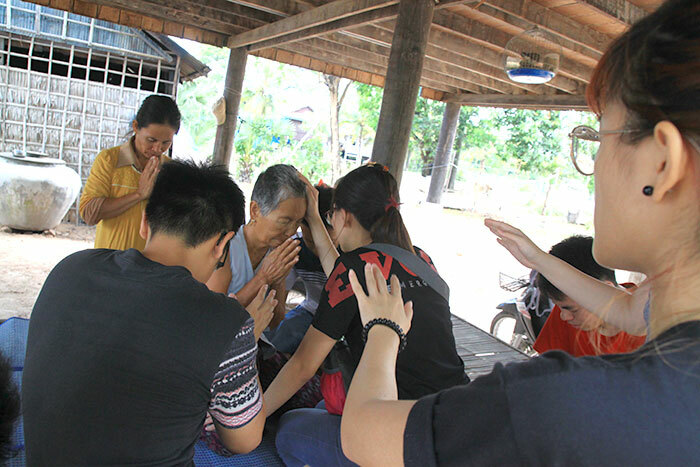 The strong presence of God touched the hearts of many of the elderly villagers. They had tears in their eyes when they accepted Jesus Christ. In 2016, the team conducted a special Christmas service for the villagers. They put up a Christmas production to bring the Word of God to life, and to share God’s Word to the people. Tang told City News about an elderly woman who opened up her home for cell group meetings voluntarily after receiving Christ. She also became actively involved in soul-winning. Testimonies like these are what warm the hearts of the team members.